Directly to their faces, Donald J. Trump is killing the political leg of the new world order. From trade deals and TPP to immigration to the Paris accords and the United Nations, to our very own Deep State and socialized medicine, and he never forgets the mouthpiece for it all, the socialist media, our Fighter-in-Chief pulled no punches in attacking the schemes against America by the Elite. "It's being proven we have a rigged system, it doesn't happen so easy, but this system....going to be a lot of changes. This is a rigged, this is a rigged system. This is a sick system from the inside. And you know, there is no country like our country but we have a lot of sickness in some of our institutions and we are working very hard and we have a lot of them straightened out, but we do, we really do have a rigged system in this country and we have to change it. "They are resisting progress, they are resisting change, because the only thing they really care about is protecting what they have been able to do which is really to control the country, and not to your benefit." "That's why I recently withdrew the United States from the United Nations plan for 'Global Governance of Refugee and Immigration Policy', no borders. It's a 'no borders' plan. They have a plan, no borders. I heard about it recently, I said 'what are you talking about no borders? No borders, anybody can come in'. If you don't mind, I rejected that plan, is that okay?" "America is a sovereign country, we set our immigration rules, we don't listen to foreign bureaucrats, we don't listen to other countries telling us how we should be running our immigration, thank you very much." "It's time for Congress to adopt a Pro-American immigration agenda. Every member of Congress should be asked where they stand on these issues, blocking funds to sanctuary cities." "At home we are restoring the rule of law. We are interpreting the constitution as written, defending the second amendment, you will keep your guns, and protecting religious liberty. We are protecting religious liberty. And we are getting rid of the Johnson amendment. We have stopped the government's attacks on our Judeo-Christian values. Because we know that families and churches not government officials know best how to raise their children and how to nurture their children." "That is why my administration is taking power back from global bureaucrats and returning that power back to the American people and you see it all the time. You see it economically, you see it at the church, you see it in every different way. We don't sing a global anthem, our troops don't wear a foreign uniform, and we will never surrender our rights to international tribunals. We won't do that." "I have said it so often, that my job is not to be President of the world, my job is to be President of the United States of America." Obviously, the President has a great grasp on the dangers of globalism and a clear vision on how to fight it. And some pieces of the fight behind the scenes might be coming into clearer focus. Then in early November, only 6 months after the President's trip, Saudia Arabia has been in the news in what is being called an "anti-corruption purge". 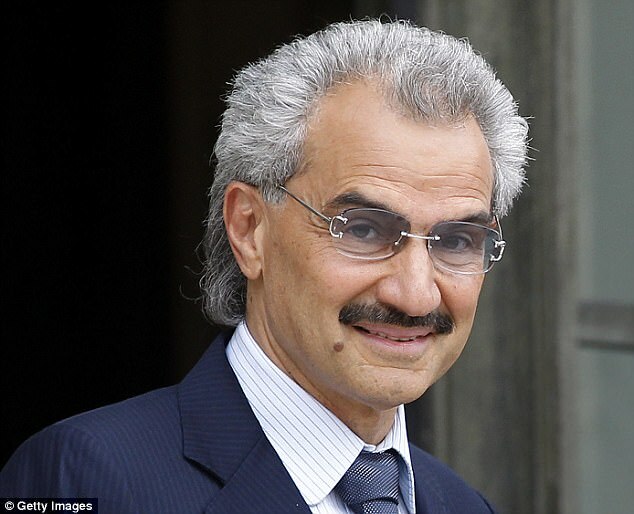 Eleven Princes have been arrested or detained including Prince Alwaleed bin Talal (arrested)- who is an international investor and this reportedly includes international terror. He has "funneled" money into the DNC, and I suspect, as one of the richest men in the world, had a little something to do (or a lot to do) with the $145 million donated to Hillary and the Clinton Foundation. Alwaleed bin Talal is the more radical Wahabbi by the way, and King Salman who ordered the purge and with whom Trump met and honored is Sunni Muslim. Also arrested in the purse was Osama Bin Laden's brother Bakr bin Ladin. When Trump said he is taking power back from "global bureaucrats", was that code for global elites that are corrupting our nation, and our elections like the Al-Waleed and others? With the success the President is having, even without much help from the GOP-led Congress, fatal damage is being done, or at the very least the U.N. global agenda is suffering a major setback as the Trump agenda advances. If the current scheme to impeach Trump fails, and it too is being set back with the revelations of how grossly partisan Mueller's team of Obama/Hillary donors it is stacked with, the NWO may have to go with what is surely their plan B: A fatal "accident", "sickness" or their own in our face assassination attempt against the President. This is a war, and the Progressives and Globalists are in it to win it.